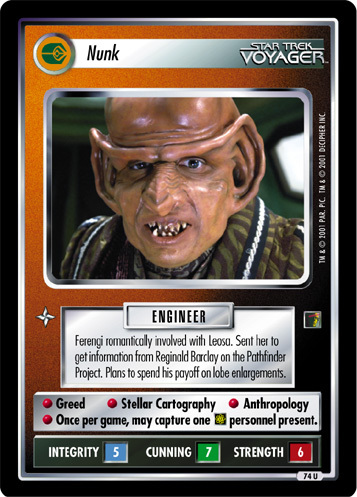 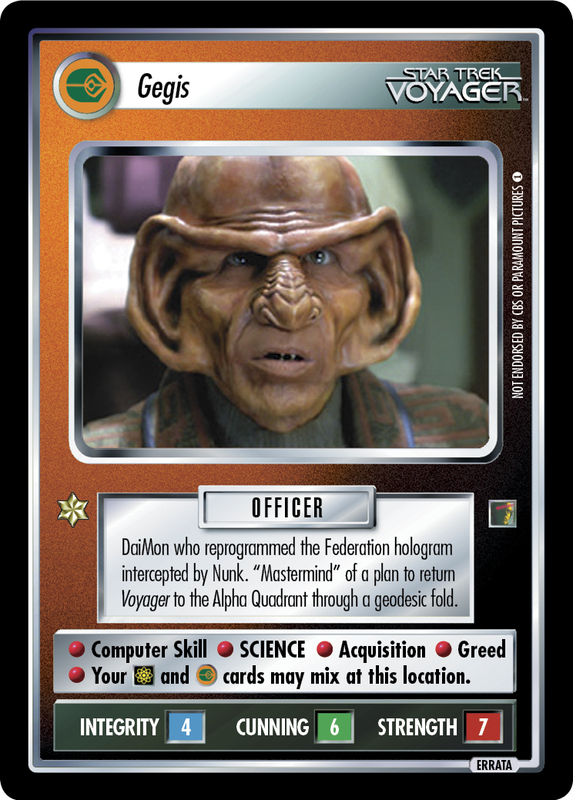 Avaricious Ferengi. 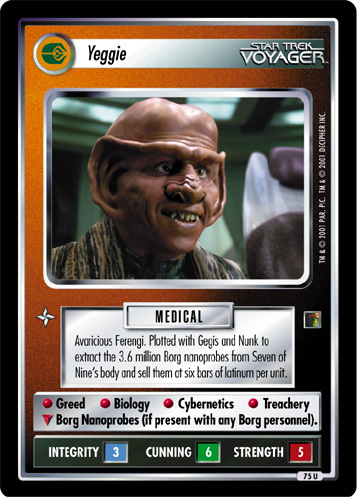 Plotted with Gegis and Nunk to extract the 3.6 million Borg nanoprobes from Seven of Nine's body and sell them at six bars of latinum per unit. 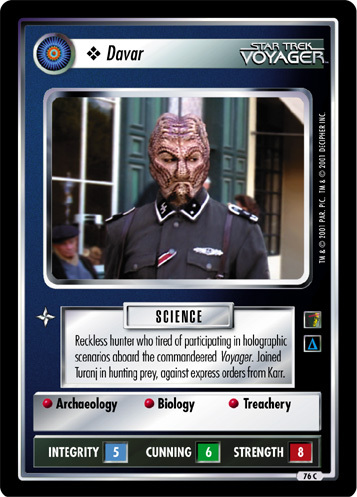 • Greed • Biology • Cybernetics • Treachery ∇ Borg Nanoprobes (if present with any Borg personnel).